The 80-percent correction in the global Cryptocurrency market has created a unique framework in the market of ICO. The development teams of most tokens keep more Ethereum in their reserves than their market valuation. Last week, the founder of the decentralized prediction market Platform Gnosis, Martin Kaka, knowing that the company will not rely on its 200,000 ether obtained from the 2017 sale of tokens, for at least six to seven years. We have a team of over 50 people who are now working full-time on the Gnosis platform and can fund this for the next 5-7 years without having to sell our ~ 200k ETH in reserve. In recent weeks, the price of Ethereum against other major cryptocurrencies such as Bitcoin, Bitcoin Cash and EOS and the US dollar has fallen significantly. Currently, Ethereum’s reserve, owned by the Gnosis team, is estimated at about $55 million, based on an ether price of $275. That’s $22 million more than the current market capitalization of Gnosis ($33 million). Other projects such as Tezos, Bancor, and Aragon have similar trends and hold significantly more funds in Ethereum than their own market valuation. Bancor, for example, has raised more than $150 million as part of its highly anticipated token sale, but its current market capitalization is under $83 million. 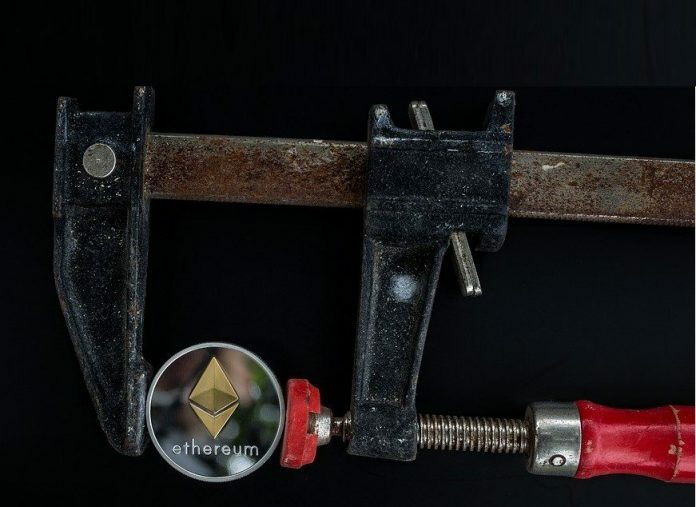 The main reason why most ICO and Blockchain projects have received more Ethereum than the size of their market capitalization is the weak momentum of small capitalization coins versus large digital assets, especially Bitcoin and Ethereum. How Should Tokens Be Rated? As the price of tokens declined due to the correction of the crypto market in 2018, more and more investors have expressed their dissatisfaction with the medium-term trend of tokens and the fact that most tokens actually hold a larger amount of ether in reserve. As ICO pricing begins with the sale of tokens, investor frustration is understandable. However, pricing in the cryptocurrency sector is difficult to determine, as there are other types of cryptocurrencies, such as forks, that also have their own value. Bitcoin Cash as an example is a branch of Bitcoin, which was created in 2017. At its inception, BCH was valued at about $600, but in December 2017, BCH’s price rose to $5,000. Since the cryptocurrency sector is still in its infancy, the digital currency market is ultimately dependent on speculation. Tokens that do not yet have a mainnet and that can commercially find a solid use case for their blockchain networks are trading at a value of ten million dollars to several hundred million dollars. In the ICO market, there is no sound concept of valuation and strike price as much of the capital is driven by pure speculation, which is one of the reasons why the vast majority of blockchain projects fail and investors lose in the long term.